Back With an Interesting post on Food & Cuisine . 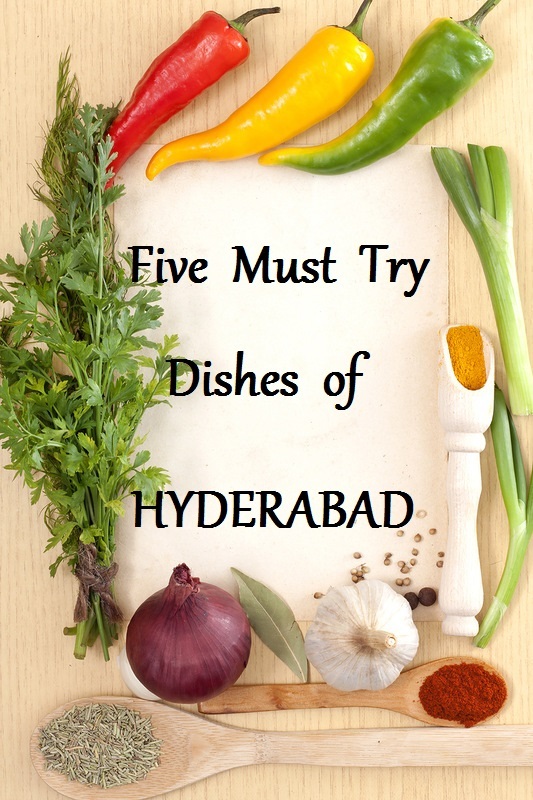 I am in Hyderabad past many years so have literally tried all its dishes & Hyderabadi Cuisine . 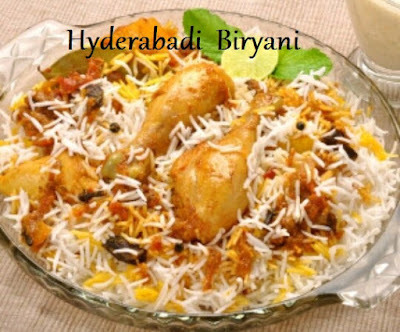 Hyderabadi Cuisine is basically bit Sour & Spicy , Rich & Delicious with variety of spices & dry fruits used . In this post I am briefly describing the 5 Must Try Ones . Hyderabadi Biryani popularly known as Dum Ki Biryani is one of the most popular dish here . It’s a perfect blend of Rice , Meat , Spices , Dry Fruits and has heavenly taste . Visitors from any part of the world do try this Dish here . It’s much different from Biryani of North India like Awadhi Biryani or Lucknowi Biryani . It has a rich taste and is bit spicy . One can enjoy this at any popular Restaurant or Hotel in Hyderabad . Is served with Raitaa , Mirchi ka Salaan or Baghare Baigaan . Haleem is a Type of Stew made from meat , various lentils , pounded wheat , spices , onions , dry fruits , Ghee . It was introduced in Hyderabad by the Chaush People during Nizam’s time . And it’s one of the Most Popular Dish here . Specially during the holy month of Ramzaan people crave for it like anything as during Ramzaan its available at all restaurants & hotels . 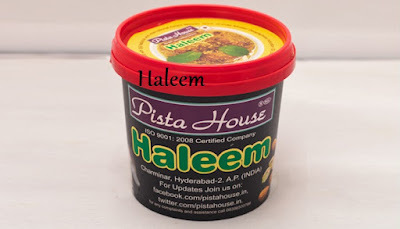 The most famous one being of Pista House , which also exports haleem to gulf and few other other countries . I have tried this dish many a times and love it’s taste , so good & delicious . 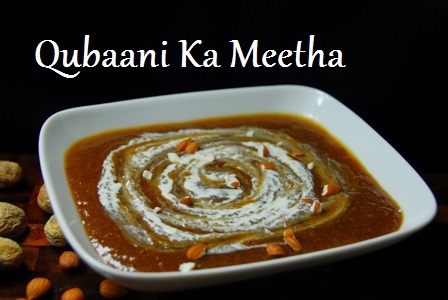 It’s nutritious as it’s like a complete meal with goodness of wheat , Lentils , Meat & Dry fruits . Now even Veg Haleem are available where vegetables are used in place of meat . Khatti Daal is a popular dish in Andhra & Telengana . 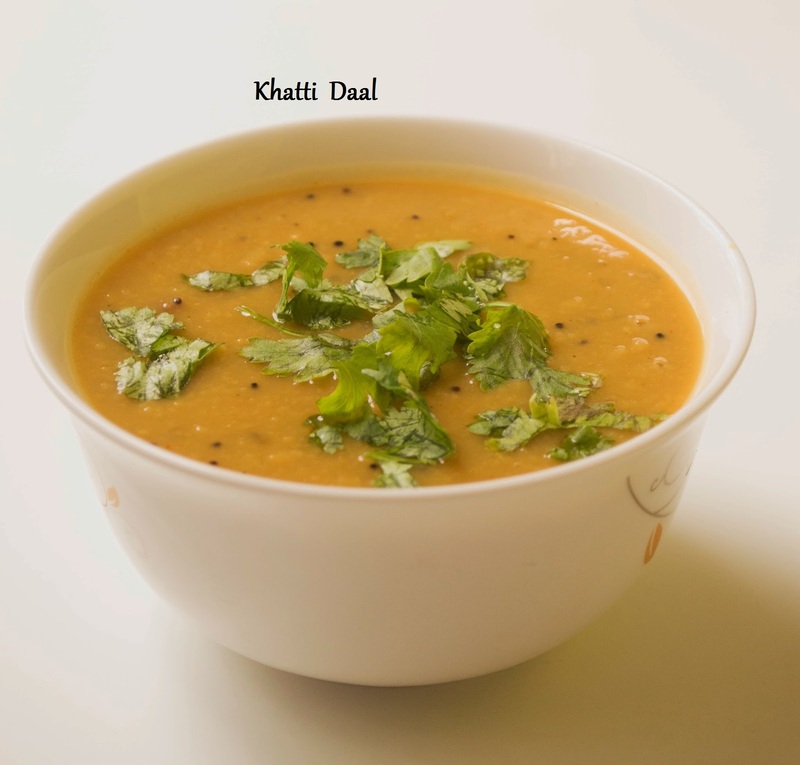 Made with Lentils , Tamarind Pulp , Tomatoes , Lime Juice it tastes bit sour & tangy so called Khatti Daal . It can be enjoyed with Rice or Roti , tastes good with both . Again this was a new dish for me which I have never heard of when in North India . It’s a popular sweet dish here which one can see almost on every occasion of function , parties etc . It’s made from dried apricot and is garnished with dry fruits like almonds and with fresh Cream . It tastes good and is quite different from any other sweet dish . 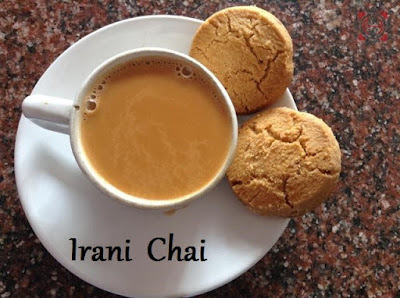 Irani Chai or Sheer Chai is again very popular here . It was introduced by Persians here . It is one of the specialities of Hyderabad . One needs lots of ingredients to prepare this like Milk , Sugar , Green Cardamom , Cinnamon , Cloves , Fresh Cream etc . It is slowly brewed with spices and then milk , cream & sugar is added . I love it’s taste and can have it any time . It is served with Osmania Biscuit , a special type of Cookies prepared here in all bakeries . So these were the 5 Must Try Dishes of Hyderabad . This article is written as a part of #SuperBloggerChallenge2018 conducted by Heathwealthbridge.com , Fashionablefoodz.com , Allaboutthewomen.com and should not be repurposed , republished or used otherwise .